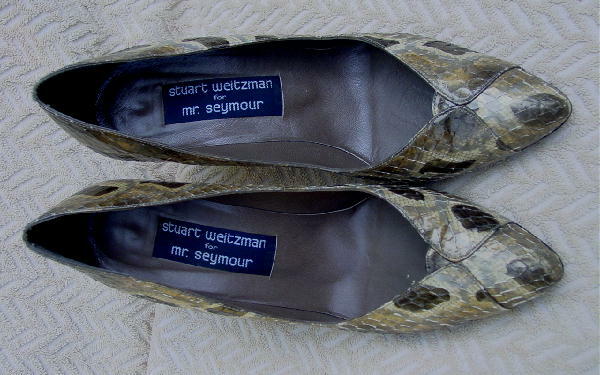 These vintage snakeskin pumps are by Stuart Weitzman for Mr. Seymour and were made in Spain. They have light taupe leather linings and insoles. 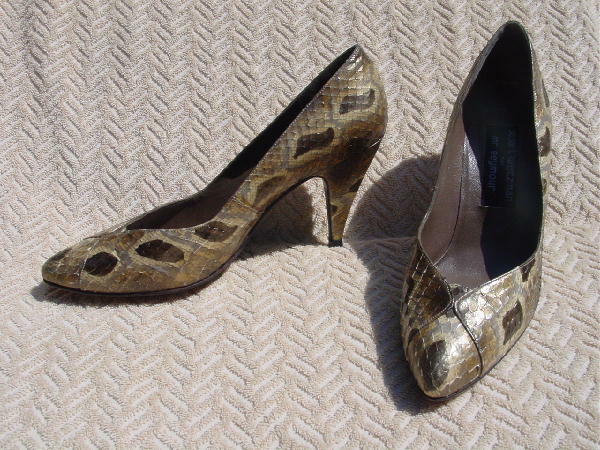 There are pointed toes, and the snakeskin is in dark bronze, cream, gray, and light gold. 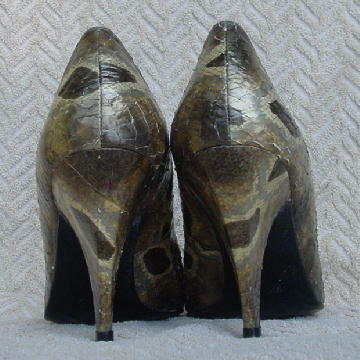 7 is etched on the black part of the sole. They're from a former New York actress. She now wears a larger size.